Tonight – 8PM – This Is Filling Up FAST! You see, when Rob and his business partner Mark spend 6 figures on their own personal property education and research (every year), because they know that the broader and deeper their own knowledge becomes, the better they can help YOU to succeed as an investor. At any level. Progressive go far and wide to bring you the latest strategies, and whenever they learn something new, they want to tell you about it immediately. Because it might just give you the stepping stone you need right now. Over 1,800 investors registered, and the feedback (below) suggests Mark really delivered the goods! You get to listen in on Mark’s experiences of what actually happens the real world. Everything is tested. So why is Rob telling you this…? Below, Rob shares some of the great questions, comments and honest feedback from last week’s “Auctions Bargains” training. Ranjit “1. What % is the Guide Price set from Market Value ? Put your trust in Progressive tonight, and we’ll ensure that you feel your time is well spent. 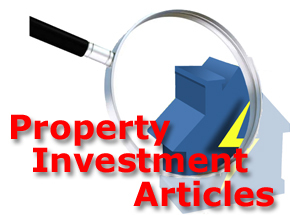 Top 7 Property Investment Predictions 2013 – Exposed! This is meant to be private, but it’s the start of a new year, and we exist to help property investors find the resources they need to profit from property, so let’s not waste time! The Top 7 Property Predictions for 2013 – Exposed -Register for YOUR Unfair advantage NOW! 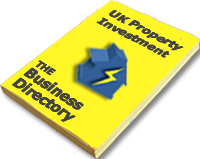 Here at MyPropertyPowerTeam, we want YOU to start 2013 fully armed, so you can smash those property investment resolutions and show the world that you have the knowledge to succeed as a successful property investor. So its time to gain a really unfair advantage!.. UK Landlords have been warned not to become complacent by the Tenancy Deposit Scheme (TDS) ahead of the deposit regulation changes due at the beginning of April. The new legal requirements for deposit protection allow a 30-day period to supply proof of deposit registration to the tenant instead of 14 days as from 6th April 2012. The new tenancy deposit regulations state that the landlord can be sued on Day 31 for up to three times the value of the deposit provided by the tenant at the start of their tenancy, if the deposit has not been registered with one of the three official Government run deposit schemes or if the prescribed information has not been provided. The TDS have summarised the changes and have also issued plain English answers to all the important questions brought forward by the changes due when the new Localism Act comes into force, including retrospective changes, penalties for missing the new deadlines, renewals, relevant persons and what happens with running tenancies.